For more than three decades clarinetist Chester Brezniak has performed extensively as an orchestral and chamber music player throughout the United States. 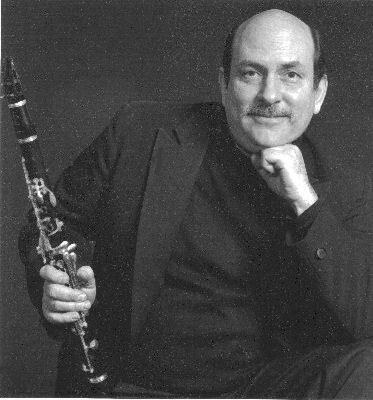 Presently principal clarinetist with the Massachusetts Symphony Orchestra, Mr. Brezniak served as principal clarinet with the Orquestra Sinfonica de Sao Paulo, Brazil, was a member of the Atlanta Ballet Orchestra, and the Orchestra of Emmanuel Music, to name a few. A founding member of the critically acclaimed Cambridge Chamber Players, the Atlanta Virtuosi, the Blackstone Trio, Soli Espri, Trio Capriccio, and the Ariel Chamber Ensemble, Brezniak has appeared as guest artist on the Fromm Foundation Series for Contemporary Music at Sanders Theater, Harvard University; appeared with pianist Richard Goode in a joint recital at the Frick Fine Arts Series at the University of Pittsburgh; in the summer chamber series at St. Gaudens National Historic Site; with the Muir and Vermeer String Quartets; with the ensemble Alea III under Gunther Schuller and Theodore Antoniou; with the Zamir Chorale of Boston under Joshua Jacobson; and with many other groups. As a guest artist at the “Entrée des Artistes” Series in Orliac, France, in 2008, and again in 2011 Brezniak appeared with the Orliac Trio at Clark University, and at St. Gaudens. In March 2015, at Mechanics Hall, Worcester, MA, he was guest artist with The Mastersingers of Worcester under Malcolm Halliday in Gwyneth Walker’s “To Love This Earth”. He has also performed with the Boston Saengerfest Men’s Chorus and the Andover Choral Society under Michael Driscoll. On February 4, 2014, he performed “Chester”, a solo work written for him by New England Conservatory composer Lyle Davidson in The Arthur Berger Memorial Concert in Jordan Hall, Boston, MA. As a duo Mr. Brezniak and Mr. Halliday have performed recitals to critical acclaim at the Frederick Historical Piano Collection Series in Ashburnham, MA. Since the 1980s Mr. Brezniak has also participated in live performances on WGBH-FM Radio, WNYC’s “The Listening Hour” and on Boston’s First Night’s classical concert presentations. His recordings and performances have been aired on NPR throughout the United States. A graduate of Bard College, B.A., Brezniak attained his M.M. at the New England Conservatory of Music. During this period his primary clarinet teachers included Gino Cioffi, Attilio Poto, Charles Russo, and Harold Wright. Subsequently he participated in masterclasses with Robert Marcellus and Stanley Drucker and chamber music study with Rudolf Kolisch, Leon Fleischer, and Luis Garcia-Renart. His recordings include a Centaur Records release of Clarinet Now, and Zemlinsky’s Trio in D Minor, Op.3 on Northeastern Records; and an Alea 111 performance of Gunther Schuller’s Duo Sonata incorporated into a short documentary film, The Past is in the Present: At Home with Gunther Schuller, July 2014. He is clarinet instructor at Worcester Polytechnic Institute, Clark University, and UMass/Boston. We are pleased to welcome Chester Brezniak to his fifth appearance since 2007 in the Historical Piano Concert series.